Discussion in 'Crime' started by Seun Joseph, Feb 15, 2017. 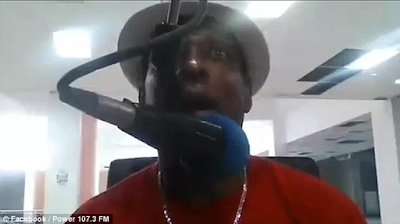 Luis Manuel Medina, a radio broadcaster, was shot dead while reading the news in the middle of his programme on radio and transmitting live on Facebook. His producer, Leo Martinez, who is also the director at the radio station was also killed. Luis had been broadcasting from their station located in a shopping center in San Pedro de Macorís, Dominican Republic, when unidentified gunmen came in and started shooting. Luiz's eyes widened in shock but he carries on reading the news in true presenter fashion until he is gunned down.